Building a dance community will not happen overnight and it cannot be accomplished effectively by a sole individual, especially if there are several established instructors/schools already in the area. Looking back over the past three and a half years and seeing the growth that has happened here locally, my hope is that sharing the gathered information and experience will help others create stronger dance communities in their own towns as well. The first step to putting together the dance community is to identify your local key players. 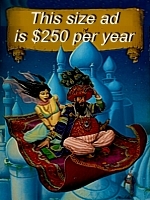 The easiest way to do this is to contact all local instructors or performers in the area and try to set up a meeting. It’s best if everyone meets at one time, but individual meetings may also be necessary due to schedules and when you are still learning about the community (if you are not already familiar with everyone). Approach everyone with a spirit of cooperation – this is not high school and for a community to come together, individual ‘issues’ need to be put aside and eventually resolved. In Middle Georgia everyone was excited at the idea of having an active local community where dancers cooperated with each other to hold events and parties where everyone felt welcome. Being in the middle of the South, there are many misconceptions we work to dispel about this dance form and as a group we are much more effective as the community can provide a consistent and unified message rather than appearing as a group of factions that cannot agree with each other. provide a central location for the general public to find quality dancers in the area and participate in local events and festivals that will help us promote understanding and culturally enhance the local area. There does not need to be an official “committee” to build a community, a general consensus is enough if several of the key players are already putting on haflas, etc, and all members are willing to support each other’s events. We did not have an official committee for a long time, just open communication between individuals and it worked relatively well at the time. 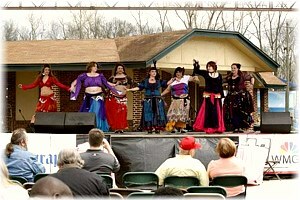 We have recently created Southern Raq (www.southernraq.com) for our area, because the dancers here feel the community has grown enough to now merit a more “official” central group with representatives from all areas of the community. Another reason is that the community as a whole benefits from the workshops we host here about twice a year and a committee is a good way to share the responsibility for planning events. To avoid creating a clique though, officers rotate annually, so new members can volunteer to join, meetings are open to all who wish to attend and everyone who wishes to submit input or suggestions can feel welcome to do so, because a committee is not effective if it doesn’t serve the community. When building your community you may also find that an e-mail list, Facebook group or community calendar webpage can work well for sharing information with everyone. If the information is not publicly searchable and/or easy to find (like with a website), it is recommended that any dancer who has a website adds links to the location or clearly identify the e-mail address where interested individuals can request information about community events. After dealing with the challenges of getting everyone together, deciding what kind of community you want to build and how you plan on doing so, you must remember that everyone on the committee is human and with that comes complications. A community does not operate in a vacuum and there is no room for cattiness or drama if the community is to be effective and truly benefit the area as a whole. If there are pre-existing conflicts between individuals, it may be beneficial for a neutral party to talk to both sides and try to mediate, particularly if these individuals are key players in the area. You don’t have to become best friends with everyone, but the dancing is more important than the drama. If conflicts arise while everyone is trying to come together to work on building the community, deal with the issue early. It may just be a small misunderstanding or mis-perception of intentions and if it is not addressed early, it can grow, fester and destroy what everyone is working to create. If conflicts arise after the initial period, once again, deal with them immediately. The best advice I can give based on the experience we’ve had locally is to go directly to the individual or a neutral party if you need a mediator and talk it over like adults. Gossiping to your friends, your students and anyone who may listen is not only in poor taste, it reflects badly on you and will create rifts in the community. 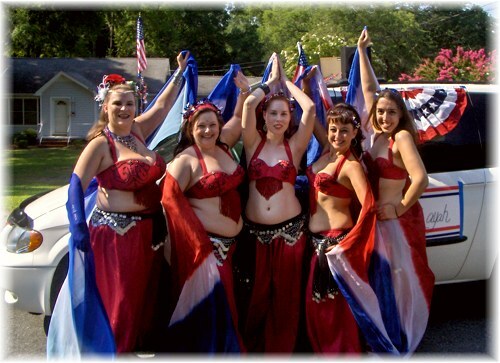 There are a lot of challenges and obstacles to overcome in working to build a community, but being a part of a dance community can be one of the most rewarding aspects of being in belly dance. Many dancers may come into this dance older, or perhaps not wish to ever dance professionally but prefer to keep it as a hobby, and dancing can be a major part of their social life and a great source of joy. The Middle Georgia community grew more quickly when we were actively working to build the community as a whole than when we were operating as individuals because students can have more fun, instructors and performers get the opportunity to remember one of the reasons they fell in love with the dance to begin with and everyone can feel a sense of pride in knowing they are a part of something that not only benefits the dancers, but adds variety as a whole and enhances the community in which they live. Being new to the Midwest, I thought it would be fun to attend one of Sumaya’s haflas and meet other members of the greater Midwestern dance community. It has allowed us to build upon the ties we already have and extend them to other dancers, making a community of sharing and support. Thank you for writing this article. 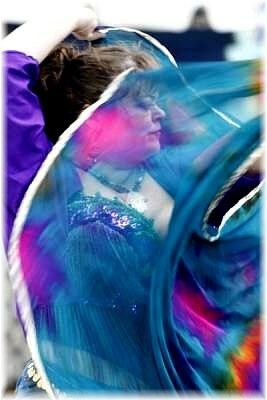 My dance pals and I have been working on creating a belly dance network along the southern North Carolina coast, and this article is timely and came in very handy. 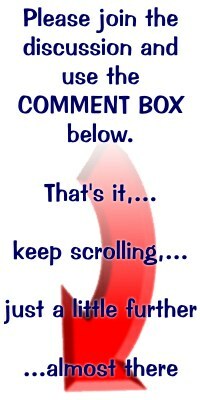 I have shared it with others who have thoroughly enjoyed it. Much appreciated.